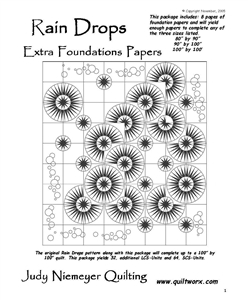 Bradley and Judy Niemeyer designed the layout and foundation pieces for Rain Drops from a collection of 20 bright and 10 dark batiks designed by Hoffman Fabrics. 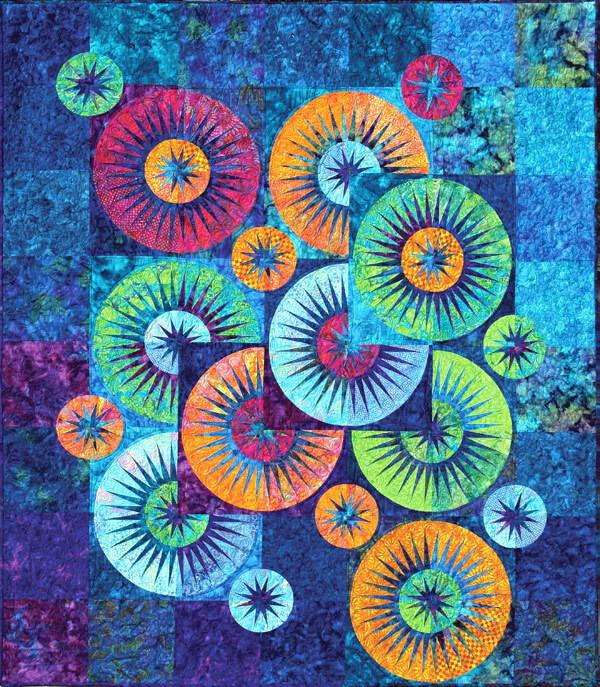 A sewing technique called foundation paper piecing is used when sewing the pieces onto the foundation units. Curved piecing and traditional piecing skills are required to join the units after the foundation piecing is completed.